It’s June 1967, the Summer of Love, and Cynda “Flower” Evans has just run away from her dreary home in Oregon for the glorious Haight-Ashbury in San Francisco. 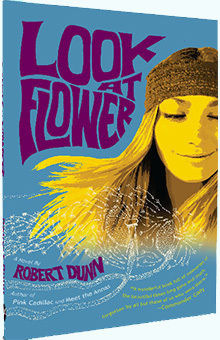 There Flower tumbles into the hippie scene, spare-changing on Haight and crashing with the Grateful Dead, before getting swept up into grand ’60s adventures that send her hitchhiking and train-hopping across America: a radical bank job, escape to a timber camp in Montana (featuring the Lumberjack Chorale! ), a turn disguised as a boy at Camp Wee-Ha-Lay-Ha in Minnesota, and finally to a commune called Old Bison, where she meets her ecstatic fate high above the New Mexico desert. At turns both naïve and wise beyond her years, scruffy yet beautiful, heedlessly audacious and endlessly savvy, Flower is a character for any time, not just her own. Look at Flower is available now, in bookstores and on AMAZON in both print and Kindle editions. And Jacque: “I found the book to be funny as well as sad. It held my attention and gave me a feel for the 60’s. I feel that Flower had an interesting life. She met many different people who helped her in different ways. I liked the elderly woman who took her in. If you’ve read the novel, please add your take to Goodreads. 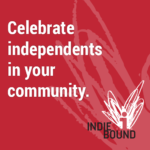 Coral Press supports it wholeheartedly.